Did you know there’s a cycle that can lead people to have a serious dislike or even fear of goals? Maybe you’ve experienced it in full or in part. 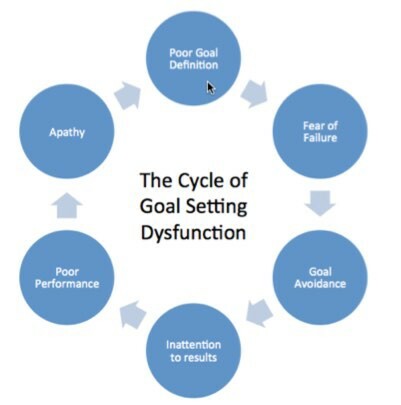 The “cycle of goal setting dysfunction” starts with a poorly set goal. That poorly defined goal can lead to a fear of failure, which can lead to avoiding the goal. The avoidance of it leads to inattention to the results, leading to poor performance. Poor performance leads to apathy, which finally leads back to poor or non-existent goal planning. Let’s look at the cycle a little closer. 1. Poor definition / lack of commitment: While goals can be a tremendous asset to any person or organization, poorly defined goals have the potential to destroy progress, kill motivation, and create attitudes and culture that are worse than they would be if the goal had never been set. When goals are poorly defined or ambiguous, they are often viewed as irrelevant, and there is frequently a general feeling of apathy about them. Accordingly, the goal planning process can come to an abrupt end before it really even begins. 2. Fear of Failure: When a goal is seen as overly ambitious or punitive, the person can begin to fear failure and veer off course. Although they may not blatantly attempt to derail the goal, their subconscious fears and resentment may lead them to procrastinate, pursue more realistic goals, or find other activities to fill their time and attention. 3. Goal Avoidance: If there is a fear of failure, a lack of commitment, or a sense that a goal is unrealistic, most people will avoid the goal or avoid the system of measuring the goal. As soon as their system of measurement is gone, it becomes much more difficult to decipher their level of effort in achieving it. Even worse, their attentiveness to achieving the goal can begin to wane. 4. Inattention to Results: Once you stop keeping score, it’s much more difficult to measure how well you’re performing. But, even if you are still keeping score, the inattention that comes from lack of commitment, fear of failure, or avoidance can lead to poor performance. 5. Poor Performance: Without attention to results or measurement against goals, performance generally declines. 6. Apathy: Once poor performance is an issue, a general feeling of failure often sets in, which reinforces the fear of failure, and apathy about the overall goal setting process can take hold. This makes it even more difficult to identify and pursue good, clear goals. 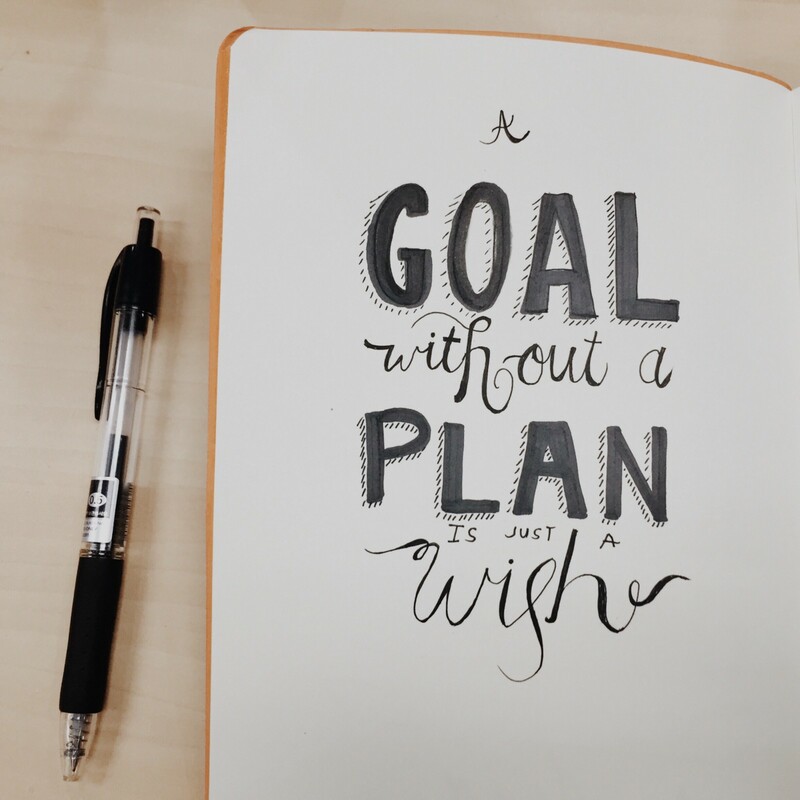 If goal setting is implemented incorrectly, the person or organization will likely feel apathetic toward goals in general and develop a subtle or outright dislike of their use. Furthermore, if people feel like goals are being used as a way to tell them they’re not good enough or don’t deserve recognition or a merit increase in pay, they’ll learn to dislike and even resent the goal planning process. Fortunately, there is a way to break the cycle. If you enjoyed reading this post, please recommend and share it to help others find it! Keith C. Norris is an author, lifelong entrepreneur, proud husband and father, tandem road cyclist, and ice hockey player, Keith’s day job is CEO of Complete XRM, Inc. (PlanPlus Online). Connect with Keith on LinkedIn. CEO of Complete XRM, inc, Fanatic about Planning, husband, father, and road bike enthusiast.